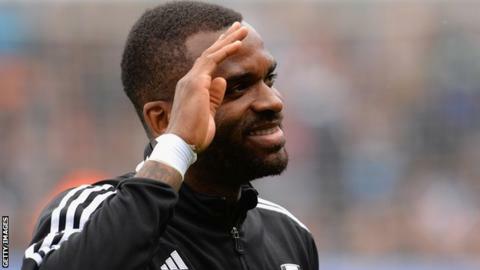 Darren Bent says he because "there are only so many slaps in the face you can take". The 30-year-old striker joined Villa from Sunderland for an initial £18m in January 2011, but since Paul Lambert became manager in 2012 he has made just 13 Premier League appearances for them. "I just want to play and I'd reached my boiling point," he told BBC Sussex. "It was hard not playing in Paul's first season, but this was worse. The team was struggling, not scoring goals and you still don't get a chance. There are only so many slaps in the face you can take." Lambert's side have managed just six goals in 12 Premier League games this season, and sit 16th, with a league-low 24 shots on target. Sami Hyypia's Brighton have problems of their own, having struggled to recover from who scored 26 times in 58 games for them, and are languishing in 20th in the Championship. Their top-scorer this term is centre-half Lewis Dunk on five. "Anyone who knows me knows I just want to work hard all week and play on Saturday," added Bent. "I want to slot in at Brighton and do everything I can to help them improve. I'm just desperate to play football because it's been far too long."